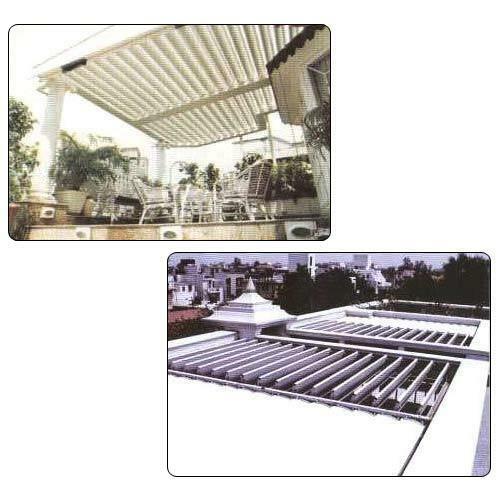 We are one of the reputed organizations engaged in supplying new and innovative solution in roofing "Openable Roof & Screen System”, for Project Division. This product makes it possible to achieve a fusion of light intensity along with the ventilation of air, apart from the basic purpose of a roof. Our Openable Roof System gives the liberty to make use of your covered space as an open space, thus maximizing the utility of the space covered with "openable roof", this makes these a preferred choice over traditional roofing system. We are a reckoned business entity involved in trading and supplying Interior and Exterior Products. We are also service providers for surveying, designing, erecting and commissioning for these products.